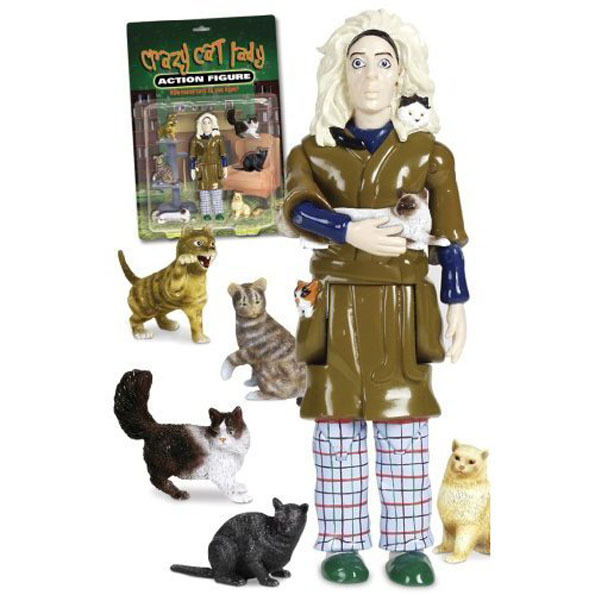 This is a Crazy Cat Lady Action Figure by Accoutrements. It comes with all of the, ahem, appropriate accoutrements a true cat lady needs: a thousand yard stare, several cats, and, presumably pockets full of tuna. Strangely enough, the set only includes 6 cats. What is this, amuteur hour? Some of us actually take our cat lady-ship seriously. My cat count is in the double digits, so what’s the make me? 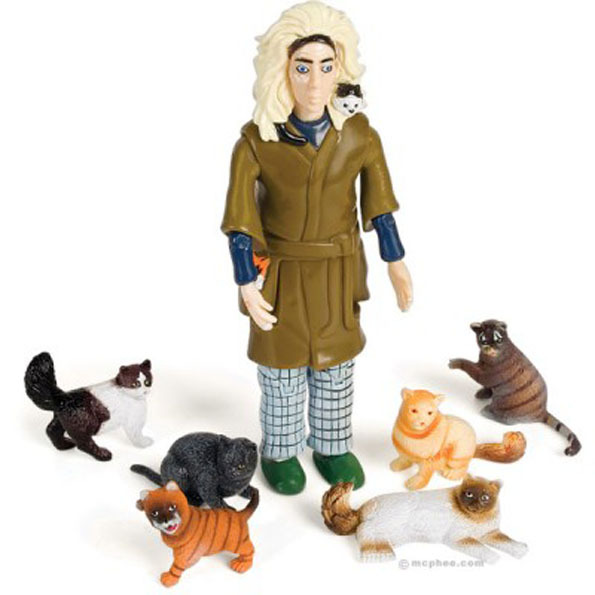 Oooh, I’ve got it — Totally Furreal Insane Cat Lady! Yeah you’re right. Nobody’s gonna call me that. They’re gonna call me “The Crazy Cat Lady who wants us to call her something else, but man, what the hell is wrong with her? She really needs help. She needs help BAD.” Which admittedly, kind of has a ring to it! It’s definitely growing on me. Clearly this is the travel set. I’m sure the home version has at least 5 times as many cats.